• Maintenance • Poznań Marmite S.A. 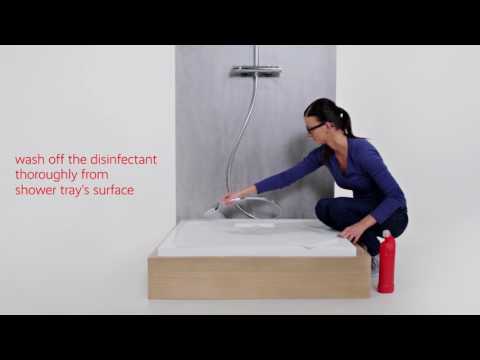 Thinking about the convenience of final users of our washbasins, bathtubs and shower trays, we have prepared a series of videos showing how to easily maintain our products. The recordings took into account all types of surfaces (matt, structural and glossy) and the most common stains from everyday use. The videos are available in 4 languages on our YouTube channel. Maintenance of a matt-surfaced shower tray - Marmite Sp. z o.o. Maintenance of a glossy-surfaced bathtub - Marmite Sp. z o.o. Maintenance of a glossy-surfaced washbasin - Marmite Sp. z o.o. Maintenance of a glossy-surfaced shower tray - Marmite Sp. z o.o.